Once you come in to feel the interior comfort and use all of the advanced technology features inside the cabin of the MDX, you’ll want to take one home for yourself. Take a look at our current lease offers online before making your way to Rallye Acura near Manhasset! Ready to drive home in a new Acura MDX for the right price? Our sales team is standing by to help you find the one that works for you, and our finance team is ready to help you secure the MDX lease or loan you need to drive off the lot. 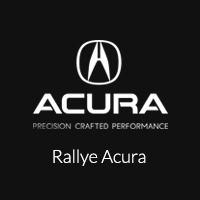 After you’ve browsed our Acura deals and incentives online, make your way from Garden City to Rallye Acura for a test drive! Be sure to check out our Acura RDX lease deals as well.